The pinnacle of classic elegance, each piece from the Innocence Collection features an 18-carat rose, yellow or white gold disc that can be customised based on your needs and likes. Presenting themselves as the ultimate personal indulgence or the perfect gift for a loved one, friend or bridesmaid, our Innocence Necklaces can be engraved with an initial into the centrepiece or with options to engrave both on the front and back for a modest touch of timeless personalisation. “I am really passionate about creating pieces that hold sentimental value. The Innocence Necklace is a personalised heartfelt gift that also looks wonderful layered with other diamond necklaces.” – Matthew Ely. 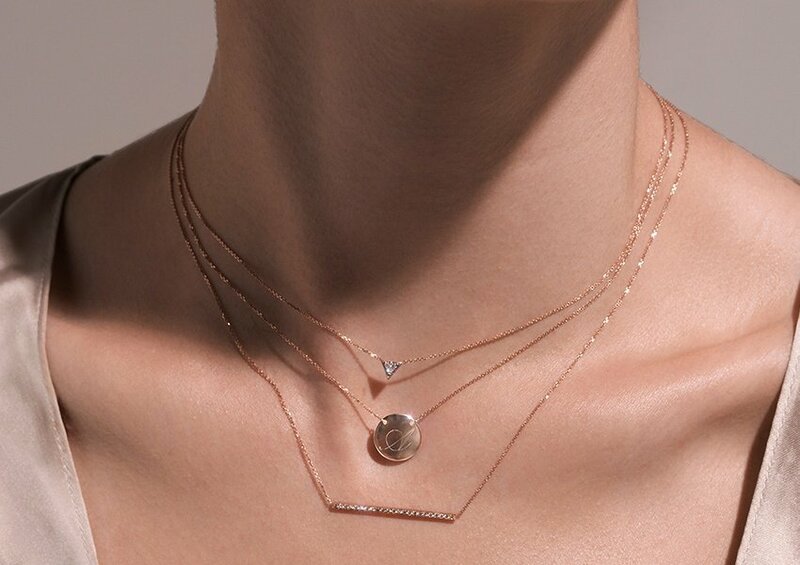 Due to their refined simplicity, our Innocence Necklaces are perfect for combining with other pieces of jewellery to create a timeless, layered aesthetic or worn alone to demonstrate the intricate charm of expertly crafted minimal details. With each Innocence Necklace handmade in our Woollahara boutique, we take great pride in offering our customers a beautiful piece of jewellery made from the finest materials that is perfect for celebrating the special moments in life. To learn more about our Innocence Necklaces, contact the boutique today to arrange a consultation with one of our jewellery experts.